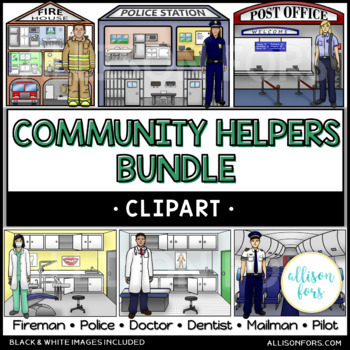 Community helpers clipart with unique scenes and versatile pieces! 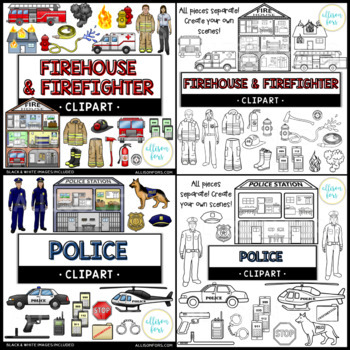 Includes Firefighter & Firehouse, Policeman, Doctor, Dentist, Mailman & Post office, and Pilot & Airplane. 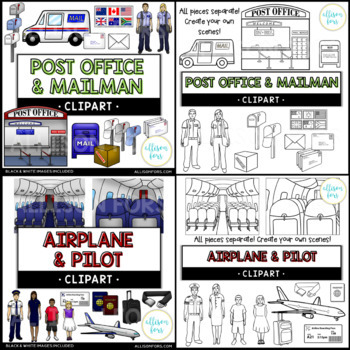 Save 20% when you purchase this HUGE set of 204 images! 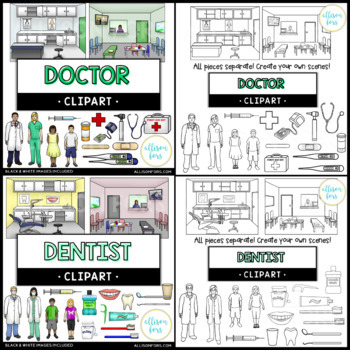 All images are in PNG formats and 300 dpi. Includes black lines for every image. If you buy the bundle, do not buy any separately, they are all included.